When Tokyo RPG Factory was founded, the studio’s goal was to create role-playing games that would remind players of the great titles that the genre offered up in the 90s. Their first title, 2016’s I am Setsuna, did just that by evoking shades of Chrono Trigger. Now the studio is back with their second project called Lost Sphear, which looks to build upon all of the work they put into Setsuna. 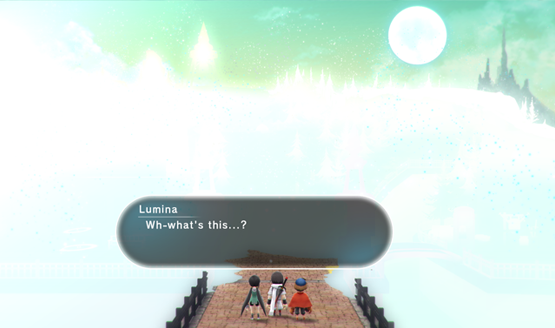 I got to play Lost Sphear from the very beginning of the story. After a short battle prologue that shows off the game’s battle system, I got to control a young boy named Kanata who lives in a small peaceful village. After meeting up with a friend named Lumina, I found myself on a mission to ring the town’s warning bell as a minor monster had been seen. After doing just that (and running into the game’s third party member), my party took care of the small chicken-like monster that had found its way inside the town. Since all of that work took a toll on the team, the crew decided to go fishing so that dinner could be prepared. It’s a slow start, but one that allows the player to appreciate how lovely the village is. There’s a river that runs through it, shops that are filled with customers, and a lively inn. Once the players return to the town after securing something to eat, they notice that the town they had lived in had completely vanished into thin air. It wasn’t just the people, but the entire town was gone. It wasn’t just our hometown village that had disappeared, though. Large patches of the world map that I had previously found challenging to navigate were now completely filled with a blank white space. After some story events that I won’t spoil, the crew winds up gaining another member and realize that they have to be on the lookout for lost memories if they’re going to restore the planet to its former glory. Collecting these memories is core to Lost Sphear‘s gameplay loop, as players need to find them within dungeons and the environment in order to continue. What’s interesting is that they also provide some freedom to the player, as they get to choose which memories they enact. Each memory has side-effects outside of battle so depending on which one they restore they can make enemies tougher in an area or add additional navigation to the game world. I found my first memory inside of an ancient temple that was equipped with all kinds of secret switches and light puzzle solving. It was here that I got my first really good look at the game’s enhanced combat system. Those who played I am Setsuna will be right at home, as it basically uses that game’s combat with a few tweaks. The major one is that players can now move where they are attacking, which allows for a lot more experimentation during battle. I found that making sure my ranged attackers were away from enemies was key, and I was able to battle my way through the dungeon with minimal worry. The dungeon ended with an intense boss battle that really tested my abilities. I had to constantly monitor my health, as the hulking creature was able to deal major damage with its attacks. I once again had to maintain my distance, as my defensive posturing was just as important as the skills I was casting. I eventually managed to defeat the creature, get a memory, and restore part of the village before the demo ended. One thing that I didn’t get to see in the demo itself, but did get to check out during my time with director Atsushi Hashimoto, were the game’s Vulcosuits. These are mechanized suits of armors that characters can use during battle that’ll give them a temporary edge during fights. Making sure that these powerful suits are used at the right time will add a lot of depth to combat, and I can’t wait to handle them myself once the game releases. 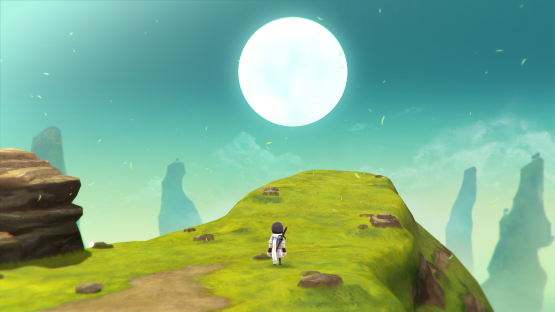 I only spent a little under an hour with Lost Sphear, but I’m left wanting to see a lot more. The story already has its hooks in me, and I trust Tokyo RPG Factory to craft an emotional tale after playing I am Setsuna. Thankfully, I won’t have to wait too long to learn more about the world’s secrets as Lost Sphear launches January 23, 2018. Lost Sphear preview conducted at PAX West 2017. Previewed on PlayStation 4. We’ll have an interview with director Atsushi Hashimoto on the site soon.